You will discover she is more than just a boutique hotel in Bali, she is in fact a Quintessential Brand amongst Bali’s top luxury hotels. 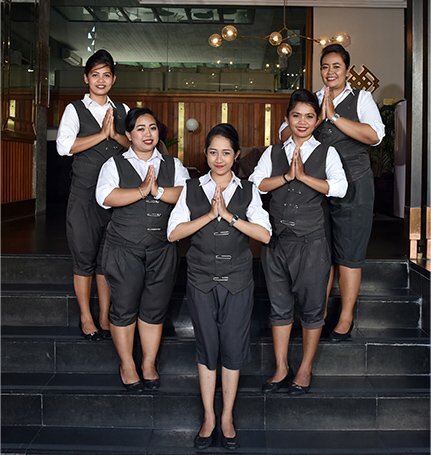 The moment you arrive, you’ll be greeted by our warm friendly Balinese butler, the hallmark of our brand. Our bespoke personalised butler service seeks to pamper you in every way you wish. Highly personalized and dedicated. Exquisitely designed 5-star suites with plush interiors, cradle you in chic comfort whilst being charmed by the stylish modern décor. Located in the trendy enclave of Seminyak, Bali’s foremost popular precinct, L Hotel is the gleaming new gem of quintessential hospitality, and is only minutes away from the Petitenget beach. Owned, operated and managed by the L Hotels & Resorts Singapore, the L Hotel Seminyak is simply a unique and quintessential experience. L is for the discerning individual with a taste for exceptional design and impeccable services. 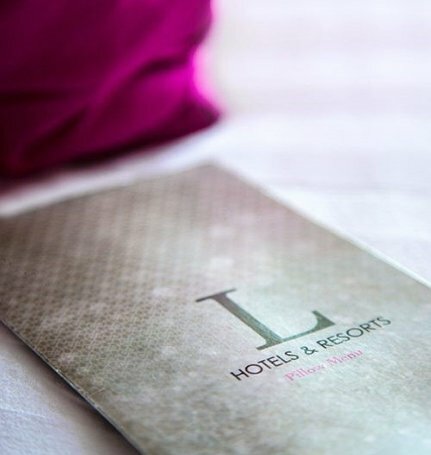 The L brand represents a personal, intimate and luxurious experience leaving unforgettable memories for their guests. It means “ Live Life” , a motto which resonates well in our service delivery and product. The concept has taken the Group many months of research, inspirations and nurturing to come together to be developed into such a quintessential hotel. Living up to her personal characteristics, L exudes love, lavish luxury, lush and lovely. A lot of personalized details are found here, and L guests are pampered by their own personalized butler, making their stay a home away from home. This is the Group´s first foray into luxury hotels and is the flagship for the future development of L Hotel & Resorts. 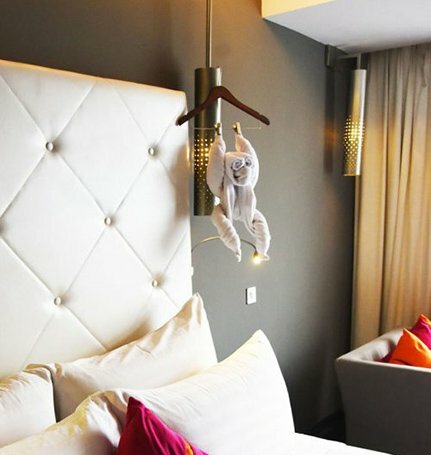 Leave everything behind and live it up at the L Hotel. Located in trendy Seminyak and lovingly designed by internationally-acclaimed team comprising of Popo Danes as Architect, Meriem Hall for Interior and Dewa Kusuma as the landscape specialist, the 30-suite L Hotel marries heritage with modernity for your quintessential experience. Experience the allure and vibrancy of L through her personalized butler services and plush decor. Treat your culinary senses to a gastronomic array prepared by our team of European and well known local chefs. Feast your eyes on the mesmerizing, idyllic views of Bali′s famed Padi fields and sunset views of the great Indian Ocean. Feel and engage in our personalize luxury touchpoints- personal butler to each room, a unique welcome experience upon arrival, complimentary local phone for use, a goldish in a bowl to accompany solo travelers, pillow menu, personalized soap, sleep eye pad, Man-ly cookies, gentlemen’s high tea to even enjoying a shoe polish by your butler… here luxury is beyond the imagination. Recent re-styling this year, enhances the allure of authenticity for the property. This boutique luxury hotel in Bali entices the vibrant traveller with an air of heritage and personalisation, creating memories and intimacy and experiences that are one of its kind. Stay to feel the vibes and discover the IT places around hip Petitenget precinct. Best Experience One Could Ask For!